A dynamic mix from the U.K. drum ’n’ bass veteran, for diehards and new fans alike. 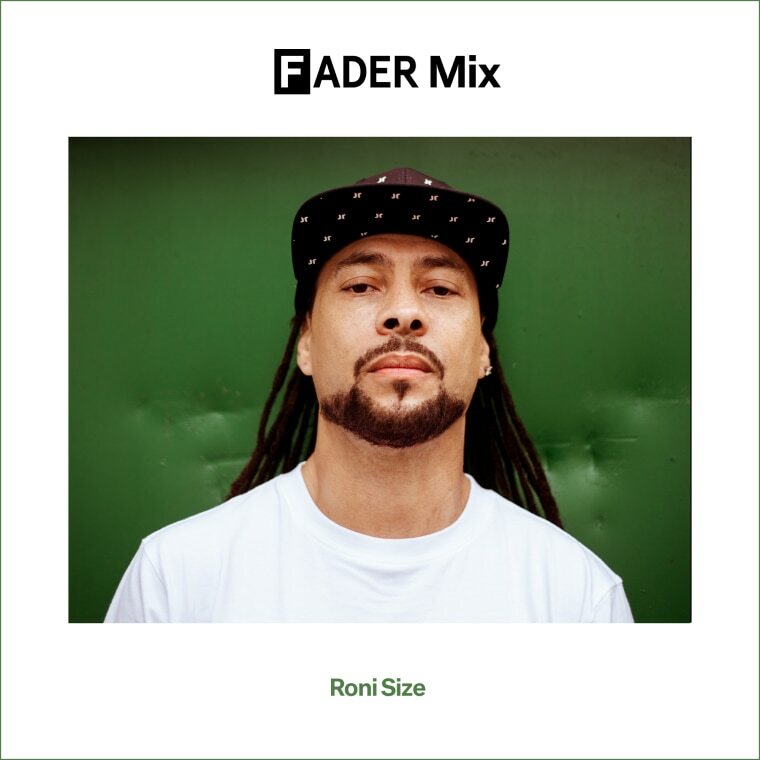 Roni Size is a bass legend. In the early ‘90s, the Bristol, U.K.-based producer and DJ helped to create and define drum ‘n’ bass’s sonic signatures — all breakneck rhythms and thwacking sub-bass — and his 1997 debut full-length New Forms (with Reprazent) is perhaps the landmark album of the genre. On the release, Size finessed hectic jungle beats with jazz, hip-hop, and strutting soulful elements, in unexpected musical combinations that could soundtrack the rave as much as the morning after. After the album scooped the U.K.’s prestigious Mercury Prize, eyes and ears started turning to the Bristol scene as never before. Since then, Size’s three solo albums and further work with Reprazent have been just as eclectic. He’s collaborated with artists from Method Man to classical composer William Goodchild, as well as continued to play his relentless and thoughtful DJ sets all over the world. This month, on Saturday 22, Size will bring a little of that Bristol flavor to MoMA PS1’s Warm Up summer music series, as part of a drop-everything-to-be-there bill including Evian Christ, Laurel Halo, Jlin, and J. Albert. His FADER mix gives some clues about what to expect — a seamlessly blended showcase of the slightly chillier side of drum ‘n’ bass, weaving in airy synth moments and silky vocals with more heated moments. Listen to his mix below, peep the tracklist at the bottom of the page, and read on for a reflective yet fun interview, where Size speaks via phone about his reactive approach to DJing, and how drum ‘n’ bass is thriving today as much as ever. Right now I’m at home, and I’ve just had a lovely breakfast. It’s a windy day in Bristol. I’m getting ready to fly back to America tomorrow. Tell us a bit about this mix — how did you approach making it? It’s not of those [mixes] where you put it on and start dancing. It might be something you play while driving home from work, it might be a background mix — something you play while you’re working in the office. Going through my mum’s 7” records at home, in St. Andrews, Bristol [U.K.]. I was seven years old, and playing them on my Mum’s turntable. Going through some really old reggae records. It was stuff like early Bob Marley, Desmond Dekker, or [Dave and Ansell Collins’] “Monkey Spanner” — records that every black household had. There was a point where I just used to listen to U.S. hip-hop or U.K. hip-hop, or acid house, or techno. But now, my palate is way wider. I don’t really go out and buy music, I stumble across it. It depends where you are, so when you’re driving through the Midwest and [scanning] through the radio you’re going to hear country music. I like a lot of orchestral music, symphony stuff. I played with an artist called William Goodchild — I did an orchestra vs electronic [music] at Colston Hall in Bristol. You've been making music for over 20 years. How do you stay creatively motivated? The audience motivates me. I’ve been DJing for so many years and it’s great — you travel all these distances, you’re tired and you’re hungry, all you wanna do is sleep, but when you get there you just feel energized from the people that are there to see you. Do you prepare differently for an event like Warm Up — where you’re playing alongside artists like Evian Christ and Jlin — than your own shows or other festival performances? It does really change. If they’re going to play a certain style, I want to complement that. So I always do my preparation at the event. I take my laptop and all my equipment, and I look at the crowd and feel the vibe. Then, I can build a record box right there, and just before I go on I’ll still be making changes to my set. It’s very reactive. Cajun-style fish, served in a nice brioche bun, with mustard. You need to get a nice piece of bream or a nice piece of sea bass. Season the fish with Cajun-style spices, and then fry it, and serve with tartare sauce. You have to see it to believe it. What’s the key to the spice mix? I can’t give my secrets away! But I don’t just use one type of seasoning; I use two types. Every step of the process should be timed. Timing is everything.